Compare to first generation of chlohexidine , silver sulfadiazine , the combination of rifampicine and minocycline has strong antimicrobial effect without allergy to patient. Dura flow CVC is made up of Flexible –Kink resistance Poly urethane material contributes Excellent Handling , Flexibility and kink resistance. 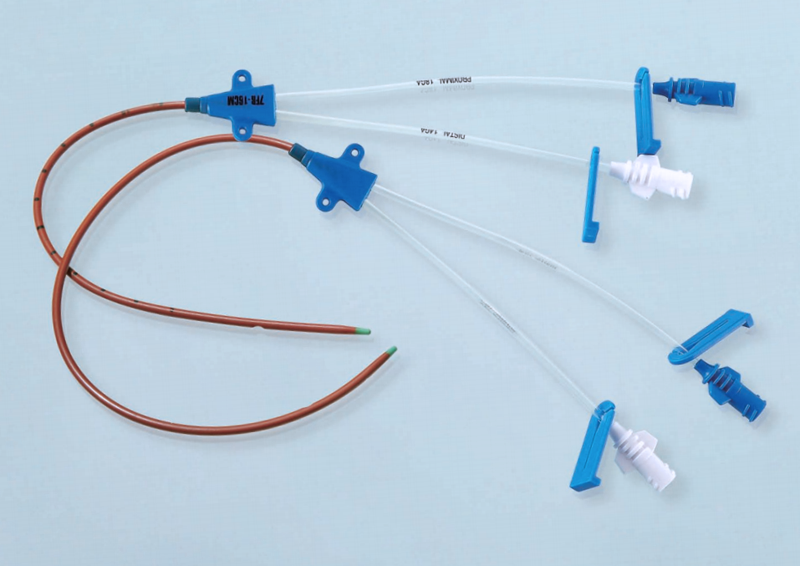 Reduce the chances of infection, prolong the indwelling time 30 days SOFT TIP- Reduce the trauma to vessel wall. Clear Extension lumens for excellent fluid path visualization. Single handed advance with dual ended marked Nitinol guide wire. CE ( European) , and ISO 13485 certified quality products .